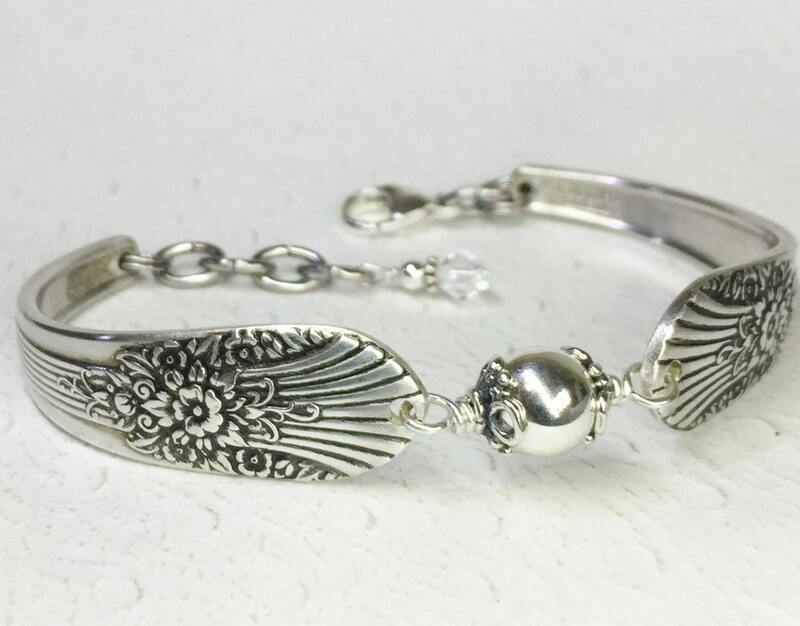 This beautifully patterned, silver spoon bracelet was created from two sterling plated vintage teaspoons. The pattern is 'Silver Mist' aka ''Marigold' from 1939. 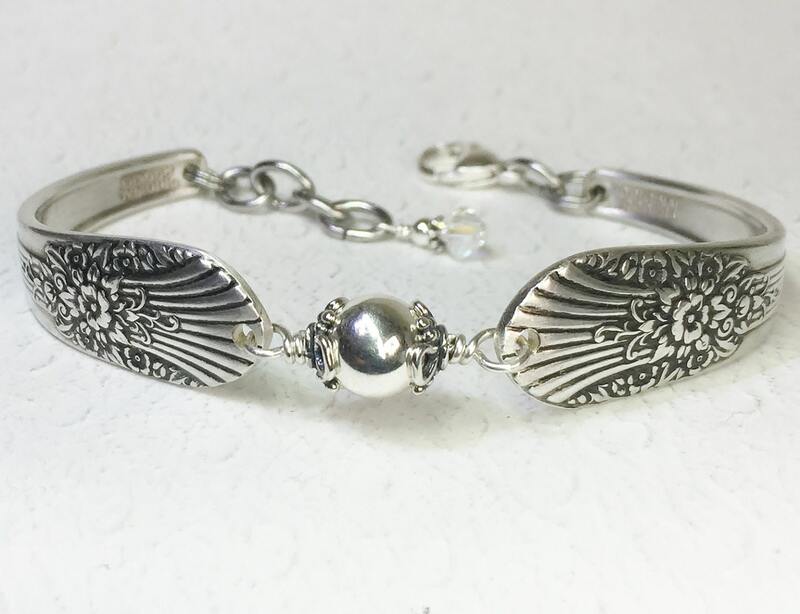 This bracelet is simply adorned with one 8mm sterling silver bead; nestled between sterling silver filigree bead caps, and twists of sterling wire. An elegant accessory that can be worn dressed up or down. 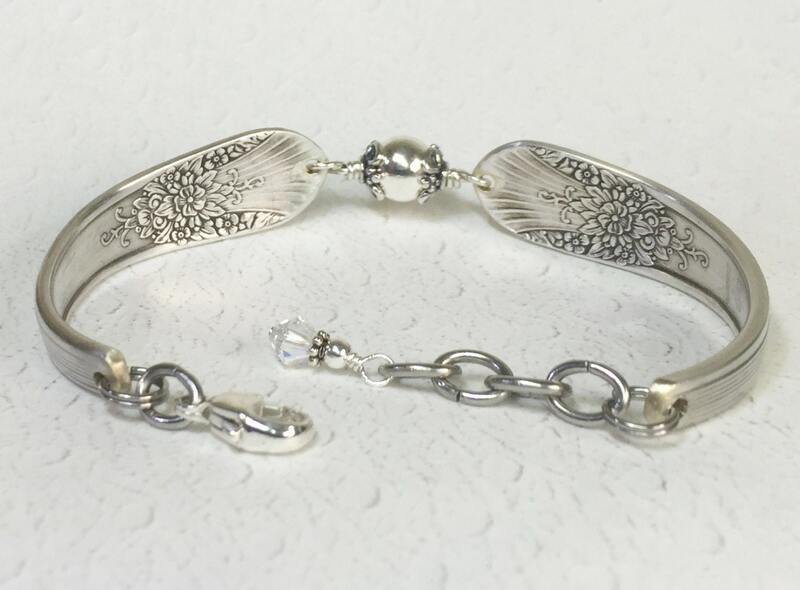 The spoon bracelet is finished with an Italian sterling silver lobster clasp with extra rings for an adjustable fit; which are topped off with a smaller sterling silver bead and Swarovski crystal at the end. This versatile piece of spoon jewelry will arrive in a festive organza gift bag, along with a Spoonfest Jewelry story card, and pattern name & age of the spoons. 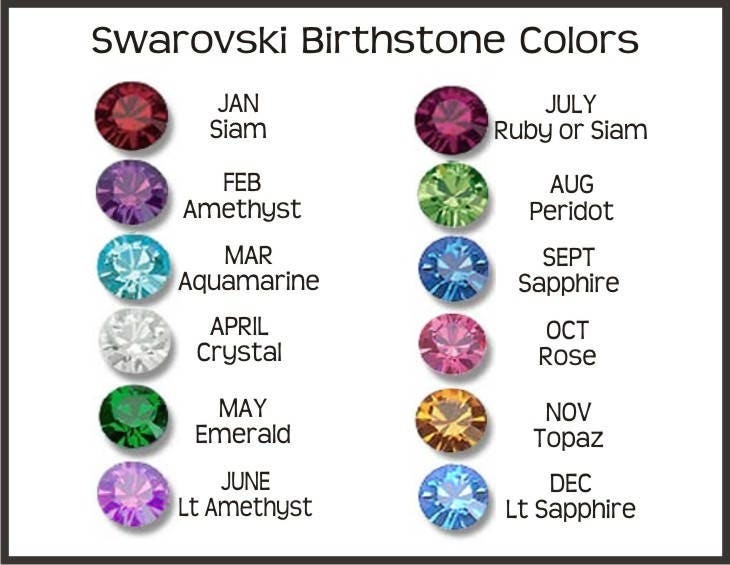 Plus, you'll also receive a complimentary bracelet helper tool to make putting your bracelet on super easy. 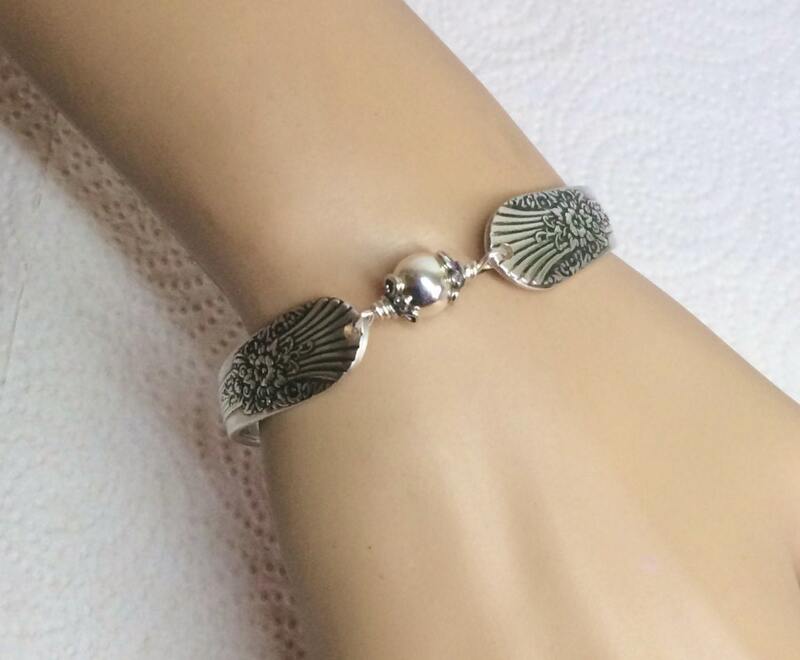 Love,love,love the Marigold pattern spoon bracelet! Arrived quickly and packaged beautifully. Would make a terrific gift but I am definitely keeping it. My bracelet is beautiful. It is great quality. Marianne was a pleasure to do business with. She was quick. 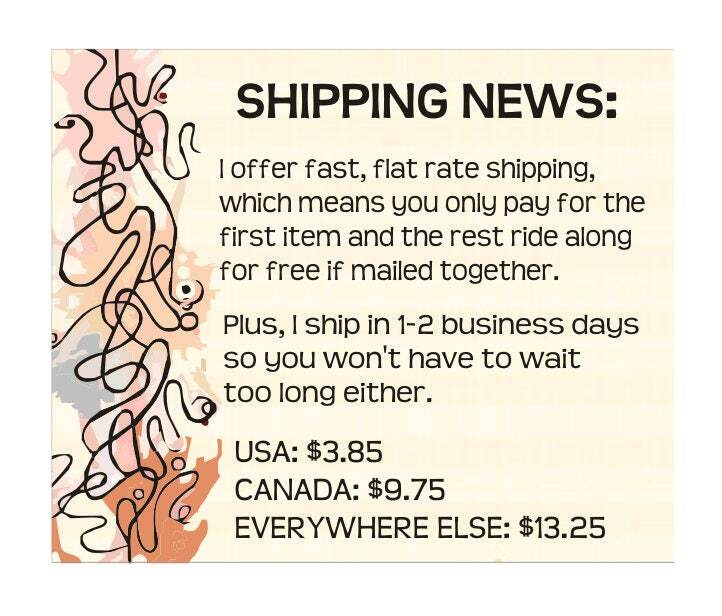 I had my order in less than a week from the time I ordered it to the time it was delivered. 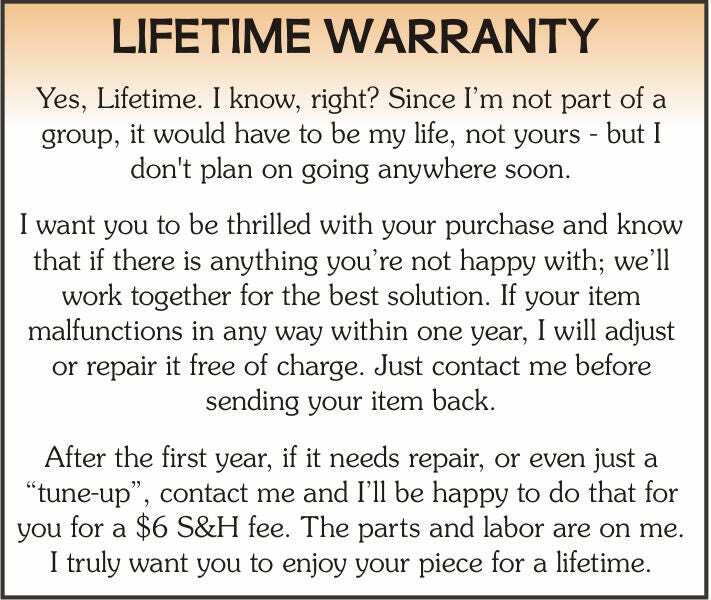 Between the quality of the product and how quick the service was I would order from them again. Thank you again for a utterly gorgeous bracelet. It will be much worn, much loved and very much admired. I have barely taken off my gorgeous bracelet since it arrived. It fits so comfortably and is very light to wear and is quite lovely to look at. Thank you so much.